Why Clarets is the best choice for you? Our aim is to make selling your home easier and more cost effective, whilst still adding value at every step of the process. We have consistently been voted best estate agent in the local area for the last three years running. All of our staff know your area inside out and will utilise this expertise accordingly. On average our online sellers save £2857 on traditional estate agency costs. We have a range of packages and services to suit everyone. We know more about your local area than any of our competitors. As members of the NAEA and Ombudsman for Estate Agency this gives you the peace of mind every vendor should have. 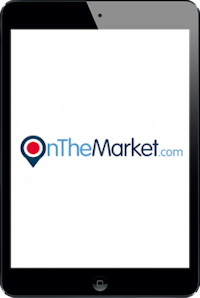 More than 98% of buyers start their property search online. 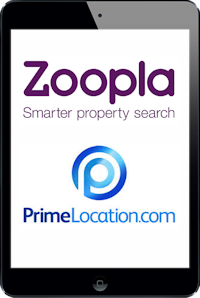 We will list your property on hundreds of the biggest property websites like Rightmove, Zoopla, PrimeLocation and OnTheMarket.com. Choose from our three packages below. All our prices are inclusive of VAT. If you already have photography and floor plans, this is the prime package to get your home on the market. Everything that the Prime package offers, plus photography, floorplan and measurements. Everything the first two packages offer with the addition of accompanied viewings and full sales progression.